Reputation is an organization’s most valuable intangible asset. And yet, in a connected world where information is rapidly exchanged and interpreted, reputations are at their most fragile. Organizations, their leaders and their employees, have a reputation whether it is intentional or not. Reputation management starts as a C-Suite accountability but its success requires commitment, awareness and alignment to corporate values and business goals throughout every function and level of the organization. When strong organizational effectiveness is coupled with best practice communications management, the resulting combination is an authentic and resilient brand. See the big picture: This one-day course will connect the dots between management functions like business strategy, governance and corporate culture with communication and stakeholder relations management. Gain insight into the concepts and principles required to build an authentic organizational identity that will build positive relationships and help your organization succeed in today’s complex political-business climate. Connect traditional and online activities to strengthen the quality of your relationships, expand your network and strengthen the relevance of your brand. Take-aways: The best protection in today’s quickly-evolving environment is an understanding of the business climate and the reputation management principles and the tools to manage through it. This course will provide rich discussion of reputation drivers and attributes. Throughout the day, participants will consider current case studies and how to apply the concepts directly to their own company’s unique reputation needs. 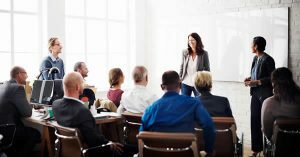 The course is ideal for organizational leaders, department managers, team leaders and individual contributors as well as small to medium business owners who want to lead or contribute positively to their company’s reputation while building their own professional brand.